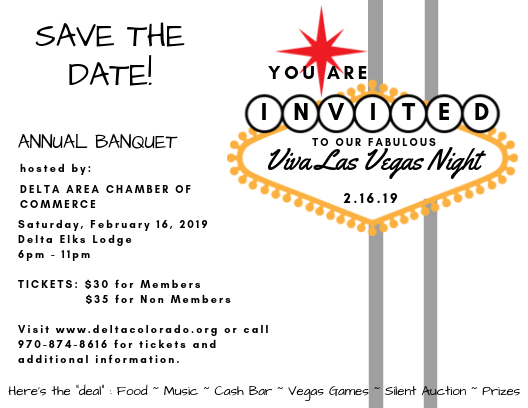 Delta Area Chamber of Commerce Annual Banquet "Viva Las Vegas Night", Saturday, February 16, 2019 from 6-11 pm at the Delta Elks Lodge. 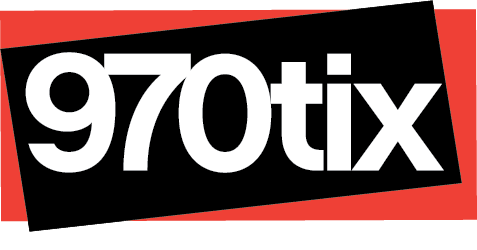 Tickets at $30 for Members and $35 for non-members. *Plus $3 charge for online ticket purchase. Viva Las Vegas Night where high rollers can throw, spin and up the ante all night with Vegas style games. There will be delicious food, music to dance to, a cash bar and prizes throughout the night. Deck yourself out in a swingin' fedora or that Ringa a Ding Cocktail dress because "The Rat Pack is Back!" Visit www.deltacolorado.org/annualbanquet for more information.